Stopping in to wish the lovely Marie Fleur a belated happy flapperific birthday, while also introducing some of you to her sweet vintage-inspired musique. 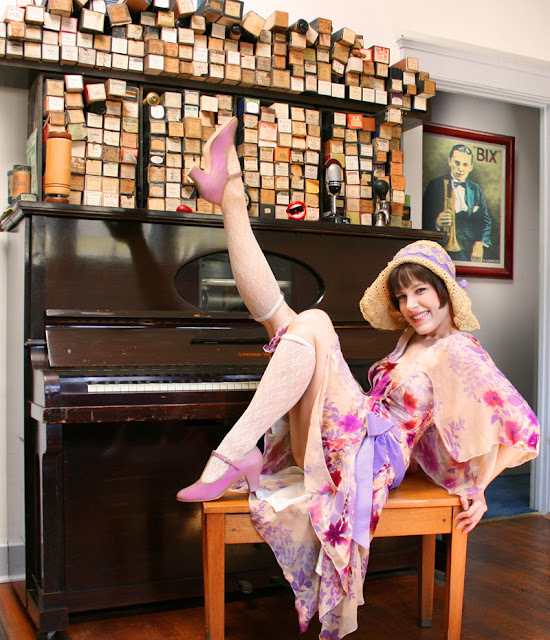 While we're on the subject of sweet vintage-inspired chanteuses, check out my lovely friend and customer Janet Klein's amazing new video! I feel so fortunate to count these lovely music makers among my friends. They bring so much joy and charm to our local music scene! Yes, Mr. Tiny. YES! I was so glad to meet them and love their music and style very much! Such a wealth of vintage loveliness, dear Jill. Thank you!